I have a special spot for organic fabric but to most of us, it’s an expensive luxury. ..and if the price tag is not going to break the bank, then it either poorly made or so simple in style that it’s more of a vest than anything else. Thankfully there are labels out there such as Pamoyo who have found the middle ground between ethical, organic and fashionable. Pamoyo is a choice for green and social production as much as much as for quality and authenticity. I support this and what is even better, it is affordable not only by the wallet, but in all arguable ways, it is WORTH it. 1) They are based on an open-source model. This means that all its designs are published under the Creative Commons license for non-commercial use. It is a company that designs with their customers. The purpose of Pamoyo’s designs are to spread, not to be protected with barbed wire fencing and legal chain lock. Currently they are preparing patterns for publication on their website which will be available for download. The idea is that you can build upon and create new versions of your fashion item. This ‘freedom’ in fashion is a new concept and is very exciting. 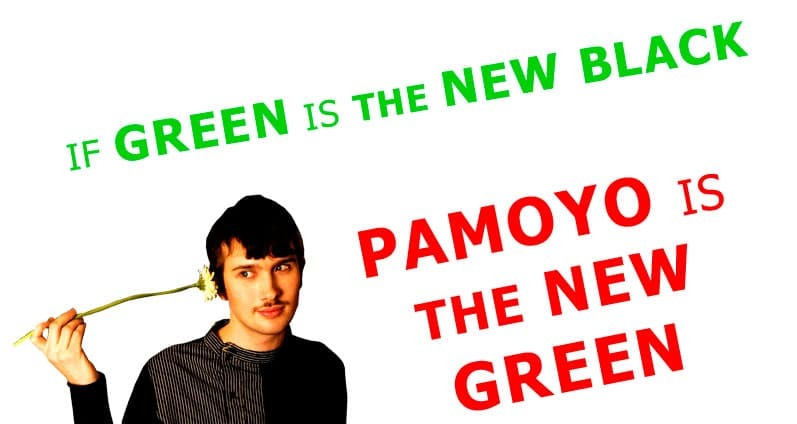 2) 2 Euro’s per sold item is set apart to invest in Pamoyoâ€™s own social-environmental projects. Together with the Grass Routes Foundation they hope to set up training projects with designers in developing countries to build upon Pamoyo’s unique projects that integrate creative, social and environmental aspects of clothing production. 3) Pamoyo’s clothing philosophy is great: They believe in slow fashion. What this means is that you wear what you enjoy wearing. Pamoyo clothing is what you want to live in, clothing that compliments you, that can accompany you on your adventures, and that together with you, a story is created. Pamoyo does not follow fashion seasons or trends, they create new products and items based upon new artistic inventions or social statements. How refreshing! 5) Pamoyo clothes are designed with flow, drawing connections between the past and the future. They use organic cotton from Turkey and Uganda and vintage clothing that has recycled elements mixed in. For example, a suit reincarnates as a hat and dress becomes a shirt. 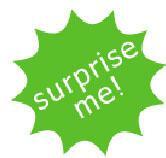 6) Super fun is their ‘surprise me’ option in their shop. Here you give them the basic details such as model, size and base colour and they select the item for you. 7) …and I cannot finish this post without mentioning their fantastic blog. From Recycling Trash to Trashury to Recycle a Gas Station! to Vegetarian Silk? …..it’s all in there. I think I’m going to spend the rest of my week browsing through their archives! What an exciting find to come across Pamoyo on Springwise this morning. I feel that in conclusion they sum up their label best: “Pamoyo clothes are made for truly adventurous lifes â€“ nomadic and full of surprise.” I’ve got to be apart of this story…. This entry was posted in Blog and tagged Ethical fashion, Fair Trade, Organic Cotton, Organic Fashion, Pamoyo, Pamoyo Clothing, vintage clothing. Great and interesting post again,Wendren. But I heard never about this german label.I am really surprised.I read in their blog and thatÂ´s very interesting.Thank you for sharing!Have a nice day! Thanks for this link! Really interesting clothes.